Mtomeni Safari Camp will act as your base from which you will complete the wilderness trail. Its setting is magnificent, surrounded by Jackleberry trees which shade the safari tents; you will overlook the Great Letaba River. The camp is situated inside the provincial reserve of Letaba Ranch. 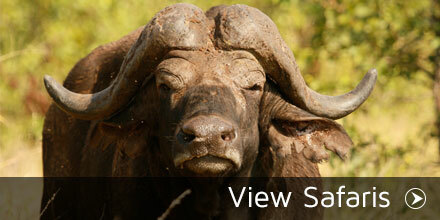 Letaba Ranch is well known for its large herds of buffalo, elephant and the rare and enchanting African Wild Dog. The reserve is unfenced which allows free access for animals between itself and the Kruger National Park. Our walking trail will begin at first light each morning to soak up the best of what a crisp morning has to offer. Each morning we will depart in a different direction to explore different areas of the reserve. The trails attractions include the riverbanks of the Great Letaba River and a Mopani veld to the south of the river. There may also be an opportunity to hike from the middle of the reserve. The guides will make a call depending on the requirements. If conditions are appropriate, you will be dropped in the middle of the reserve to start your hike from a different setting. The wilderness hiking trail is focused on careful, quiet walking as this maximises the opportunity to interact with nature. Guests are advised to walk in single file. This will ensure that we move through the bush as quietly as possible, backed up by a ranger and led by a guide. Despite the silence that we will enjoy, we will stop frequently to allow for discussion and information. The pace of our walks will be kept at a leisurely level to suit everyone. While game sightings of the large mammals are possible, they are rare and your focus will be on the tracks and signs that make up the bushveld. 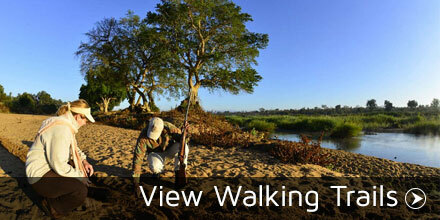 While you are walking, your guide will also teach you the theory of bush survival skills and show you basic tracking. Mtomeni Safari Camp have recently opened 7 brand new safari tents on wooden decks. Situated to the west of the communal dining area, the tents have 2 x ¾ beds. Linen and towels are provided as part of the tariff. The new tents boast 12V lighting, as well as a charger for cell phones. The en-suite has a walk-in shower, flush loo and vanity with basin. The water is solar heated. In addition, the camp still has its original 5 safari tents to the east of the dining area. These older units are next in line for upgrade. They also have 2 x ¾ beds with linen and towels provided. The basic en-suite includes an old fashioned bucket shower, and a gas burner to heat the water. Their lighting is from paraffin lanterns, and guests who use these units charge their cell phones in the communal dining area. There are communal dining and cooking facilities available. Your guide will prepare meals around the fire for your enjoyment. Small groups are often joined by other like- minded travellers which presents a fantastic opportunity to meet new people! There is no electricity in the camp and we make use of paraffin or solar lanterns at night. Some travellers don’t like the taste of the local water, even though it is safe to drink, so it is advised to bring your own bottled water. The area is malaria free but precautions are advised. We will meet at Mtomeni Safari Camp around mid- afternoon (transfers will be available from Phalaborwa- to be arranged at time of booking). We will walk an average of 12 kilometres per day and spend three nights in the camp. All food is provided but guests are advised to bring their own beer and wine as there will be a limited supply to purchase. When packing, we advise that you bring clothes neutral in colour and lightweight sturdy worn- in hiking boots are also a must. Other items to bring include windcheaters, binoculars, cameras and sun protection and a lightweight backpack to carry throughout the day. You will drive 16 km’s on the road to Gravelotte R71 and turn right on Road D3260 to Selwane (S23°54.719’ E30°58.916’). From here you will drive 26 km’s and turn right onto a gravel road. 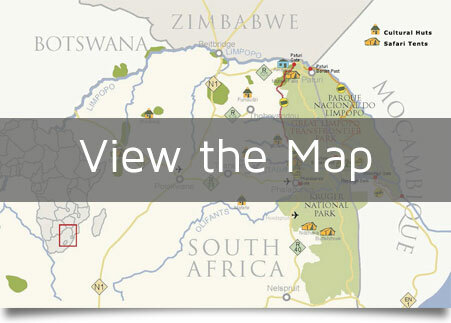 You will see a sign for Letaba Ranch (S23°40.958’ E30°59.604’). Here you will pass through the gate (open if closed and re-close behind you) and follow the road for around 5 km’s to the reserve main entrance (S23°40.258’ E31°02.187’). From here you will follow the Ivory Route signposting to the camp. Make sure to keep right (S23°40.230’ E31°02.466’) and the keep left (S23°39.452’ E31°03.310’). You will find the camp approximately 5km’s from the main entrance (S23°38.805’ E31°03.602’). The approximate driving time is 1 hour and the camp is 52 kilometres away. The trail can accommodate up to eight hikers.